There is no other person who can advise, love and support like Grandma! 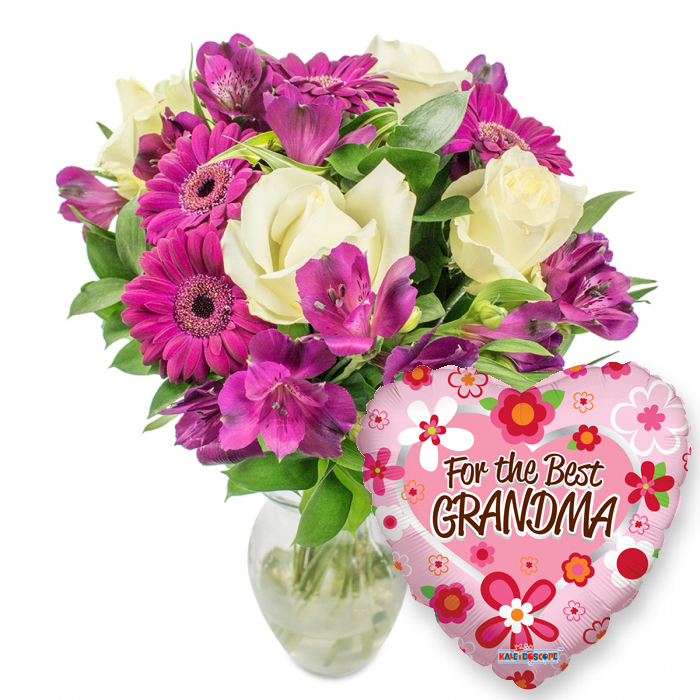 Send a lovely floral gift today to thank her for always being by your side and loving you unconditionally! We will include a thoughtful balloon to add to the charming surprise! Original size bouquet pictured. Vase included only for photo purposes. I have ordered multiple bouquets from here and they are always superb quality and last ages. I just saw pictures of the flowers I had sent to my grandma, and I have to say they are marvellous! Exquisite colour and so fresh! My grandma is truly the best so I`ll let her know that with this amazing flower arrangement on her birthday. Thank you! Grandma will be so happy! Can't wait to have the flowers delivered!! !